Among those crew sailing home to Derry-Londonderry after a long wait for the Atlantic Homecoming Leg to start from New York is 40 year old Danny Bryce. Having dedicated his career to helping vulnerable young people in the city, Danny was nominated for the ‘Voice of the Community’ bursary scheme by one of his colleagues and subsequently won the chance to sail a leg of the Clipper 2015-16 Race. Having joined his Derry~Londonderry~Doire crew mates in New York, Danny is now tracing the routes of his ancestors as he sails back to Northern Ireland. “My great grandfather John McGuinness was born in New York, his family had emigrated to Brooklyn at the end of the famine. When his Father died of Yellow Fever his Mother managed to scrape the money together to make the ocean crossing back again from New York to Derry. John McGuinness later became a sea captain, so that North Atlantic route is very significant in my family history. Danny (pictured above meeting Mayor of Derry City and Strabane District Council, Alderman Hilary McClintock in New York), believes that his extensive work with young people and having to deal with difficult and often delicate situations will help him to integrate well into the Derry~Londonderry~Doire team given the close living quarters on board and wide variety of backgrounds the crew come from. 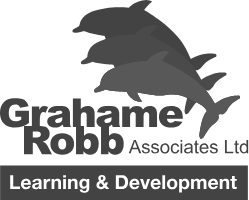 “When I was on my training over in Gosport I was definitely in my element, I think it was the perfect environment for me to use a lot of the skills I’ve learned in my youth work. I’m a bit of an emotional barometer which is great when I’m working in a group. I find that I can gauge what the mood is with people and I deliberately help to raise the morale. I’m lucky because with Extern I work with a highly motivated and vocational team of youth workers who constantly give 110% in their work with young people and their families. So I know what a good team looks like. Danny will sail into his home city in time for the Foyle Maritime Festival which is centred around the Clipper Race stopover. One of the highlights of the stopover will be the public Prize Giving event at the Guildhall on 13 July, at which another Derry City and Strabane District Council bursary candidate will be performing. Jilly St John, a singer/song writer also from Derry, completed Leg 7 of the Clipper Race and upon arrival in New York passed the baton on to Danny. 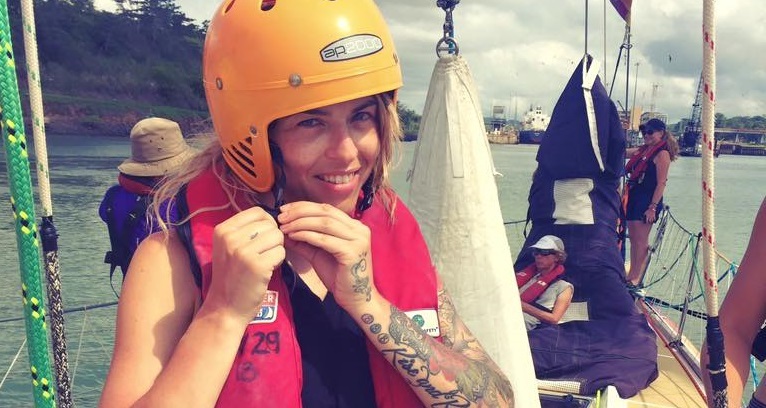 Having never sailed before or even been outside of Ireland, Jilly found the journey from Seattle to New York via Panama tough at times, but ultimately worth the challenge. Having recovered from anorexia, taking part in the race was the next step for Jilly in rebuilding her confidence and testing herself with new skills. Jilly’s band Wyldling has previously performed at Radio 1’s One Big Weekend in Derry-Londonderry and now they are going to be the warm up act at prize-giving, much to her excitement. While Jilly has now returned home, Danny’s journey has only just begun with the LegenDerry Finale to his home port. Three days after leaving New York, Danny is already settling into life on board with his crew. In his first on board blog, Danny says: “The work on board is extremely physical and the watch system takes a lot of getting used to, it's knackering but apparently the first few days are the worst. Shouts of "I know you fancy me but don't look at me, look at the spinnaker" can be heard from our watch leader Rob Ryan as he drives us on toward the home port. So far we've lightning storms, squalls and spotted a small whale and a very large sun fish. The fleet is making fast progress towards Derry-Londonderry where the estimated arrival window is 7 – 11 July. Thousands of people are expected to line the streets as the teams sail up the River Foyle where the Music City Festival is set to coincide with the Foyle Maritime Festival. To find out more about what is happening during the stopover click here. For more information on the Foyle Maritime Festival events and how you can get involved click here. Keep up to date with Danny’s journey and all of our crew by reading the crew diaries on each team page.